He learned what his constituents thought about the job he was doing and was able to use some of that feedback to make improvements. He also scored points for being open to feedback, something most politicians usually run from. You could ask this at the end of the case, before they leave your office. You could email a survey question. Or you could have someone call them on your behalf. You’ll get some interesting feedback, I’m sure. You’ll also plant a seed in your client’s mind about recommending you. If they give you a high score, i.e., a high likelihood that they will recommend you, they will be psychologically more likely to do that. A simple, one-question survey (plus follow-up question) is easy to implement and could bring you a lot more business. So tell me, on a scale of one to ten, how would you rate the quality of this post? 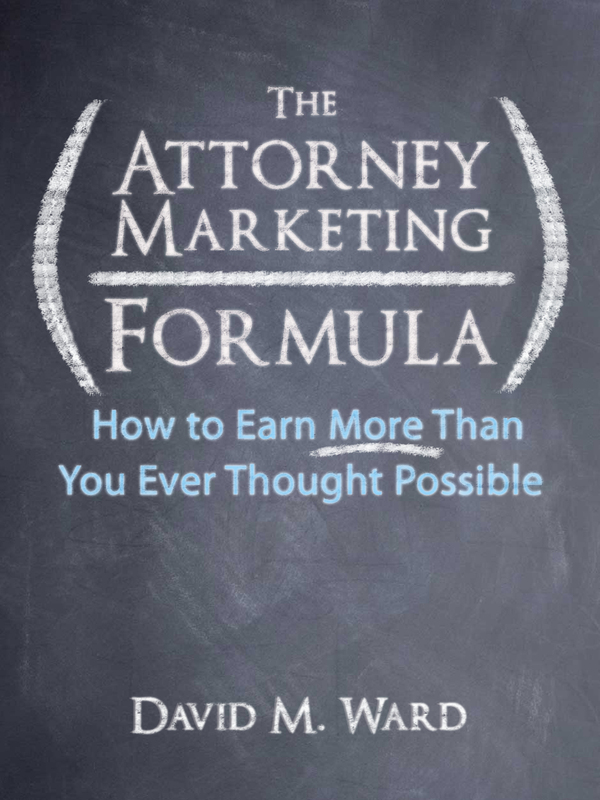 Marketing is easier when you know The Formula. Are you coddling your clients? Saw an article about raising mentally strong kids. The upshot: “Science says stop telling them ‘everything will be OK'”. Let them make mistakes and feel uncomfortable. That’s how they learn and grow. Overly protective parents aren’t doing their kids any favors. Neither are overly protective attorneys. Telling clients everything will be OK when we really don’t know this to be true sets them up to be disappointed and to mistrust us. No, we don’t want them to worry unnecessarily. And yes, they pay us to do most of the worrying for them. But most clients, I think, want us to respect them enough to be candid with them. Let them see what’s going on–the risks, the problems, the possible outcome. Don’t try to downplay the fees. Our clients are adults. We should assume they can handle the truth. We don’t need to bludgeon them with the truth, however. We should be measured when we present our evaluation of the case, gentle when we deliver bad news. Like children, clients look to us for emotional clues. If we are calm in the face of trouble, they are more likely to be the same. Bottom line: tell them everything and don’t let them see you sweat. Some people say you can build a successful career even if you’re not well-liked. There may be some truth to that. If people respect your abilities and track record, they may hire you (or refer clients to you), even if you’re a Grinch. On the other hand, I can’t see how having your clients and professional contacts like you could ever work to your disadvantage. Now, some people are naturally likable. They’re friendly, easy to talk to, and make people glad to be around them. We may get things right often enough, but there are times when we’re tired, facing a crazy deadline, or distracted to the extreme. While we may generally be a nice person, sometimes, the mask we wear says otherwise. So, in no particular order, here are 6 ways to make yourself more likable. Be interested. Make eye contact, pay attention (don’t take calls), listen, don’t interrupt, don’t yawn, take notes, repeat back the points you hear them make. Be interesting. Talk about books you’ve read, movies you’ve seen, stories you’ve heard, that are likely to be of interest to the person you’re with. Mind your manners. Say please and thank you appropriately and often. Ask them about their day. Offer them something to drink. Don’t keep them on hold or waiting in your waiting room too long. Apologize when you blow it. Smile more. They’ll smile back. Make them laugh if you can, because it’s hard to dislike someone who tickles your funny bone. Remember names and use them. ‘Nuff said. Get more rest. So you can do all of the above. Make people feel good about themselves and they’ll feel good about you. I just saw an infographic depicting “America’s Most & Least Trusted Professions”. Lawyers ranked near the bottom, just above business executives, car salespeople, and swamp-creatures, aka, members of Congress. I’ve noted before that lawyers are an easy target. We do everyone’s dirty work and tend to make a lot of enemies, after all. And who doesn’t like a good lawyer joke? But that doesn’t mean we should accept the world’s collective opprobrium. Neither should we single-handedly attempt to repair the reputation of an entire profession. Instead, we should take steps to differentiate ourselves. To show the world that we’re one of the good ones. We can do that, we must do that, by going out of our way to foster trust in the eyes of our prospects, clients, and professional contacts. This covers a lot of territory, everything from treating people better than they expect (or deserve) to be treated, to displaying the accolades and endorsements of others who vouch for us, to doing charitable work usually associated with good people, and everything in between. We should, of course, also refrain from the types of practices we know client’s dislike. 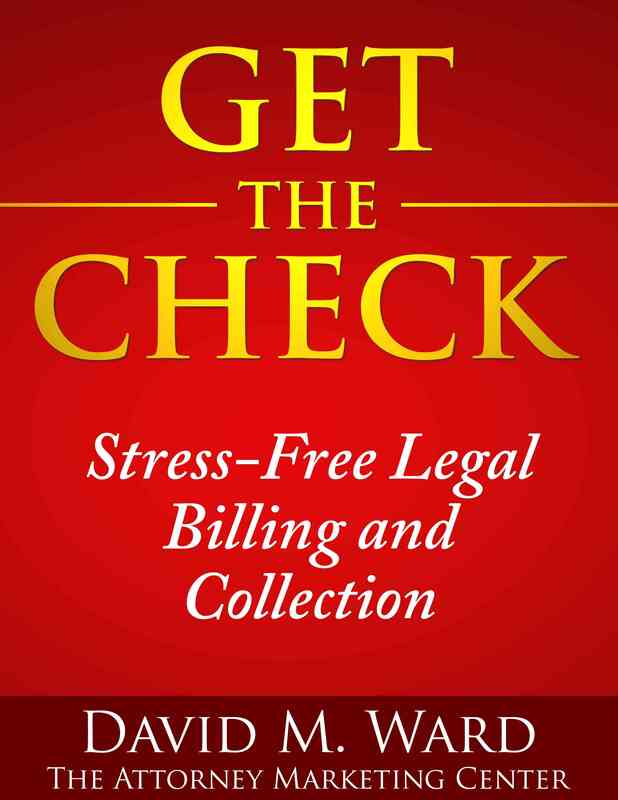 Failing to keep clients informed about their case and charging for every little expense and every nanosecond of time are common examples. Another way to earn trust is to exceed our clients’ expectations. Giving them extra services, delivering better results, and showering them with the highest level of “customer service” not only goes a long way towards earning trust, but it can also stimulate a heap of positive word of mouth about you. In our marketing, we can build trust by showing our market how we are different or better than our competition. 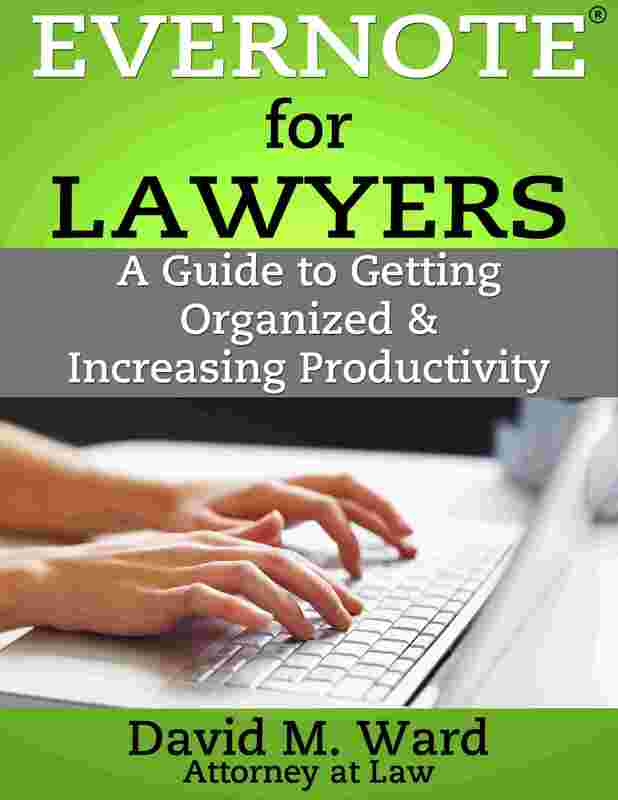 This can be as simple as providing more information than most attorneys do, or doing so in an interesting or entertaining matter. Finally, one thing we shouldn’t do is deny the fact that lawyers tend to rank low on the trust totem pole. Instead, we should acknowledge this fact and help people understand what to do about it. Educate your market about the standard of care, so prospective clients will know what to expect and demand. Teach them what to do when a lawyer doesn’t deliver. 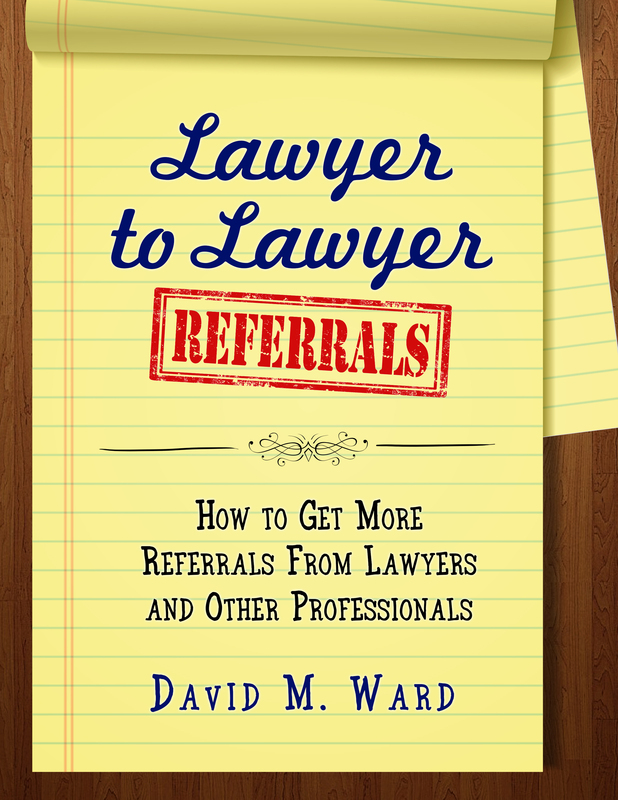 And teach them what to look for when they are looking for a lawyer in your practice area. Give them the questions to ask and the answers they should get. Do this, and you will take a big step towards showing the market that you are indeed one of the good ones. I’m going to a new place to get my haircut. One thing they do that the old place didn’t do was keep notes about me in their computer–what kind of cut, which blade setting, problem areas, and the like. I come in, give them my phone number, and they look up my account. It allows the stylist to get to work without having to quiz me on what I want, something I’m not good at describing and find annoying. What can I say, I’m a guy. When I need a haircut, I want to get in and out. I don’t want to think about what I want or how to describe it or try to remember that they used number 4 on the sides and 5 on top, or something else. I just want to get the thing over with. Ten minutes and I’m out of there. That’s what I want and at this place, I can get it. Recording notes on the computer is a small thing but for me, it’s a big thing. It addresses one of my “pain points” and gives me a better experience. I don’t know if other hair cutting establishments record notes but, as I said, the last place didn’t and that’s one reason why I go to the new place. I do have a point and no, it’s not on top of my head. My point is that you should be looking for things you can do for your clients that address their pain points and give them with a better experience with your office. It might be something other lawyers do (but don’t promote). It might be a little thing. But if you choose the right thing or things, you’ll give your clients a reason to come back to you when they need help, or tell others about you, as I recently did when my son-in-law was in town and needed a haircut. What’s wrong with that? It’s terrible posture. Yes, you want clients and prospects to know that you can be reached if they need you, but not like this. Let them know you have office hours. If there’s an emergency, they can reach you through an assistant or answering service (if you have that kind of practice). Otherwise, they should contact your assistant and see if they can help them. Or make an appointment to see you or speak to you. Or leave a message for you and you’ll get back to them as soon as your schedule permits. Bad posture: Call me any time. Email me any time. Message me any time. And expect me to be available at any time. Good posture: I’m busy. In high demand. My time is valuable. You can talk to me but you have to get in line and follow the rules. If you’re not busy, don’t tell anyone. Nobody wants to hire an attorney that nobody else wants to hire. If you are busy, let people know it. It will make them want you even more. If you want me to respond, ask me what you want to ask me or tell me what you want to talk to me about, and make it as easy as possible for me to reply. 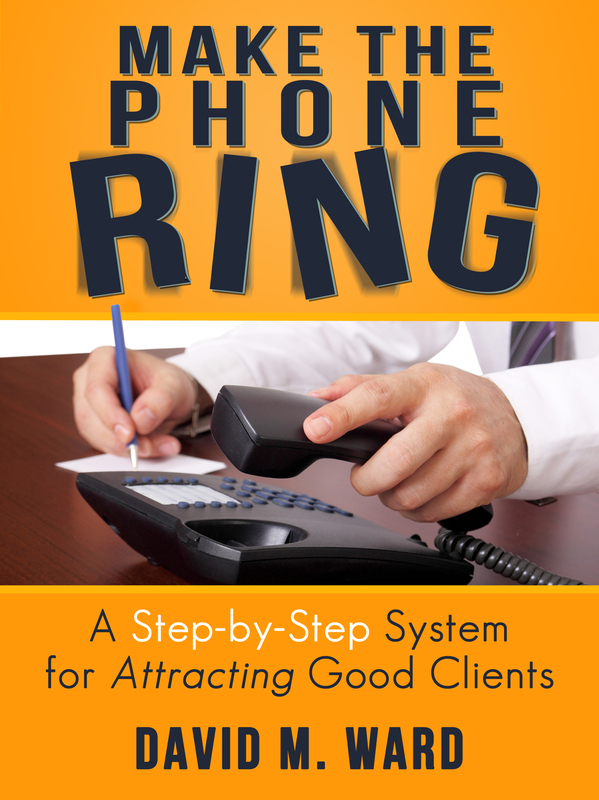 You should also tell callers when you or someone from your office will get back to them so they know what to expect. Oh, and when a caller follows instructions, praise them because so many people don’t. 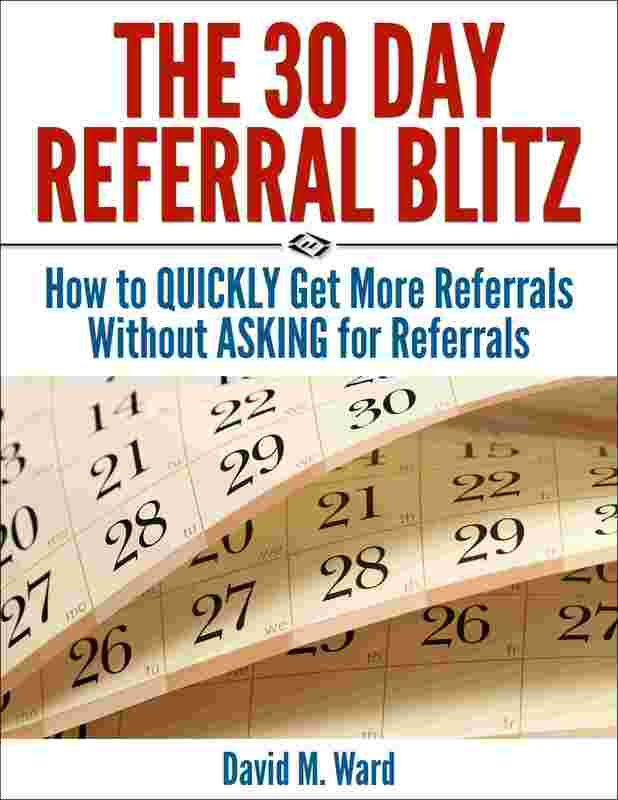 Do you know the formula for getting more clients?